Most of us use our water heater every day without thinking twice about it, especially if it is working properly. It’s only if mucky water or no hot water begins to come through the taps that we start to think about the maintenance of their water heater. A water heater should be drained at least once a year or when necessary, especially if discolored water is coming through the taps. Maintaining the water heater is important if you want it to keep your Snellville, Lawrenceville, or Loganville home running for many years! A gas and electric water heater are pretty much the same, and they both drain very similarly. Turn off the electricity or the gas to the water heater, and then make sure the cold water supply to the water heater is also turned off. Those who are draining into a bucket can do so, but many choose to get a hose and drain the water directly into a drain somewhere to their outside of their house. The drain valve will be found at the bottom of the heater, and the hose can be attached to this valve in order to drain the water. Once the hose is attached, then pick any hot water faucet in the house, and open it. Make sure to open the drain valve to then allow the water to drain out completely. The water will be hot, so use caution! Once the water has been drained, if there is no problem when it’s draining, then partially refill the water heater with cold water, and allow the water to drain out again to ensure it’s cleanliness. Once the last of the drained water is coming out, the water must be coming out clean to ensure that the water heater is clean inside. If the water isn’t coming out clean, then flushing is necessary, which can be done by turning on the cold water for five minutes or more while the drain valve is still open. Close the valve, and refill the water heater once it’s finished being drained. Need Hot Water Heater Maintenance? 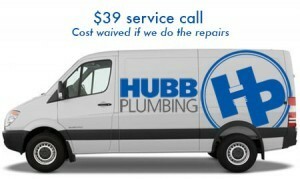 Call Hubb – your qualified hot water heater contractor in Snellville. We can be your best friend when it comes time to maintain your water heater, especially if it requires draining, flushing, or any type of maintenance. Be sure to contact us!